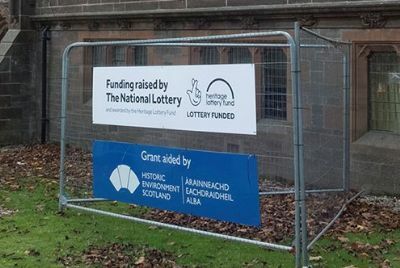 As our Repair & Renewal Project progresses thanks to our Heritage Lottery Funding and Historic Environment Scotland grant. We must say a thank you to all National Lottery players without the invested money our project would not be attainable. Check out our latest photographs of work continuing. More photographs can be found in our Gallery under 'New in 2019'. ===================================================================== We held a Heritage Exhibition at the Gardner in from 24th of October till 1st of November showcasing our place within Brechin, including a slide show of local factories and businesses, our past ministers and the story of how the Gardner came to be built. We showcased many of our special heritage features and showed old photos and plans of the area. On facebook we set out 7 questions over 7 of the days and showed this video below. 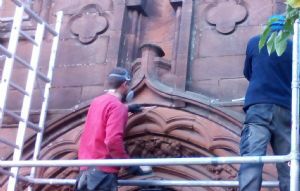 This video shows off the Tynecastle Tapestry Doors which are to be repaired during our repair and renewal project. 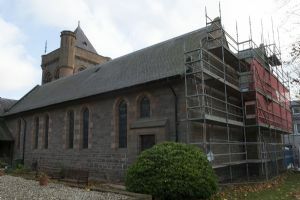 Following an earlier Heritage Lottery Fund development grant of almost £25,000 to Brechin's Gardner Memorial Church, Historic Environment Scotland and the Heritage Lottery Fund have jointly agreed to a further award of almost £220,000 for essential repairs and heritage promotion in connection with the Gardner's Repair & Renewal Project. 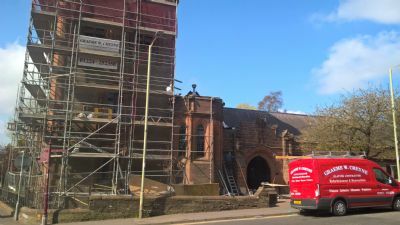 The Gardner Repair & Renewal Project aims to secure the future of this ‘A' listed building within the Brechin Conservation Area and the heart of the town for the benefit of the whole community. 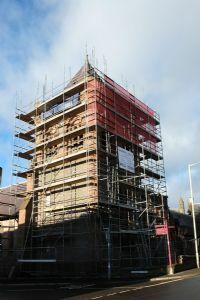 The project will carry out essential conservation work; provide interpretive material and new digital access to the building, enabling visitors to better understand its unique detail and the wider community to participate in a variety of related heritage activities. 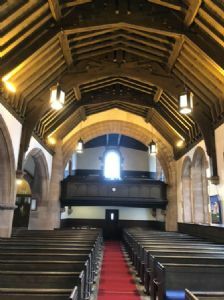 The church was designed in the American Romanesque / Arts and Crafts style by Sir John James Burnet, a contemporary of Charles Rennie Mackintosh, and was designated 1896 building of the year by the Royal Incorporation of Architects in Scotland (RIAS). 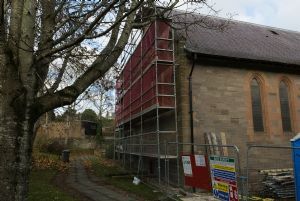 Conservation work will be undertaken by Graeme W. Cheyne (Builders) Ltd. of Aberdeen under the supervision of Conservation Architects James F. Stephen of Glamis. 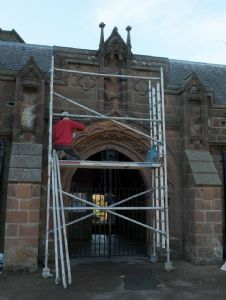 The building contains a number of unique features including several ornate Tynecastle Tapestry covered doors that will be restored by the Scottish Conservation Studio during the course of the project. The Gardner was built in the late 1890s, following a bequest of £7,000 from the late Rev. Alexander Gardner towards the building of a new church in memory of his son, together with a matching donation by the local Milne family of Mooranbank. 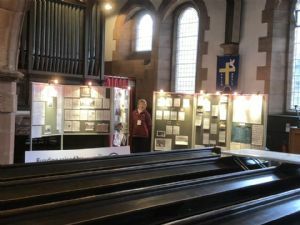 An initial exhibition displaying various aspects of the church’s architecture, history and heritage will run from 24th October to 1st November this year. About the Heritage Lottery Fund Thanks to National Lottery players, we invest money to help people across the UK explore, enjoy and protect the heritage they care about - from the archaeology under our feet to the historic parks and buildings we love, from precious memories and collections to rare wildlife. www.hlf.org.uk. Follow us on Twitter, Facebook and Instagram and use #HLFsupported. Your views on the project are important.